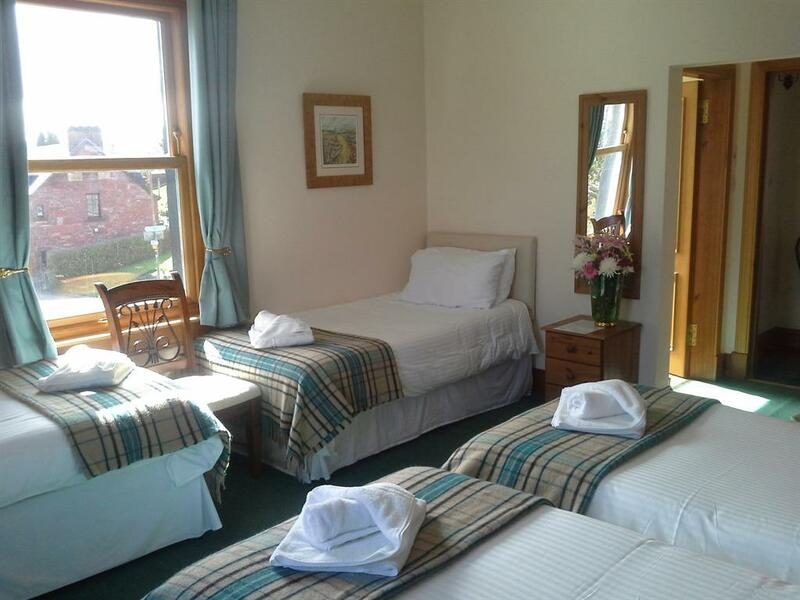 Family rooms can be 4 x single, 1 x double and 2 x single and Room 5 even 2 x double. 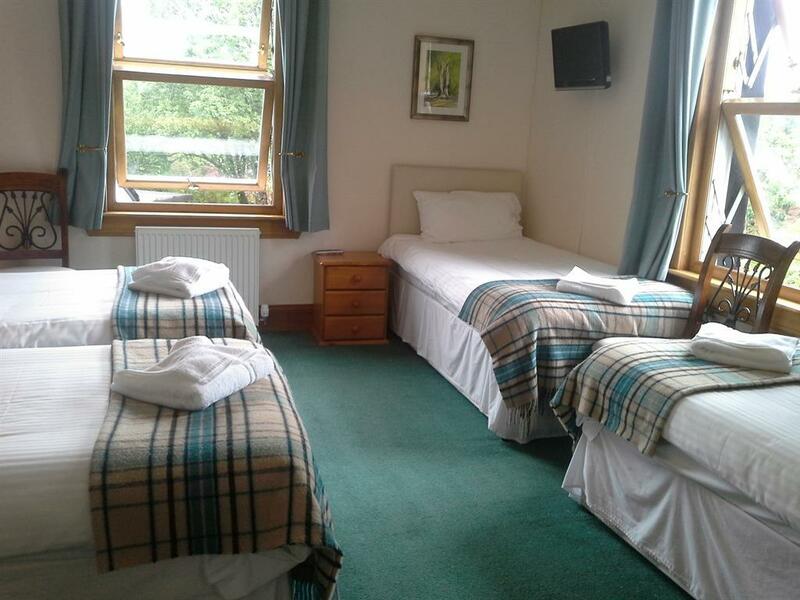 All beds are full size, comfortable adult beds (no bunk beds). 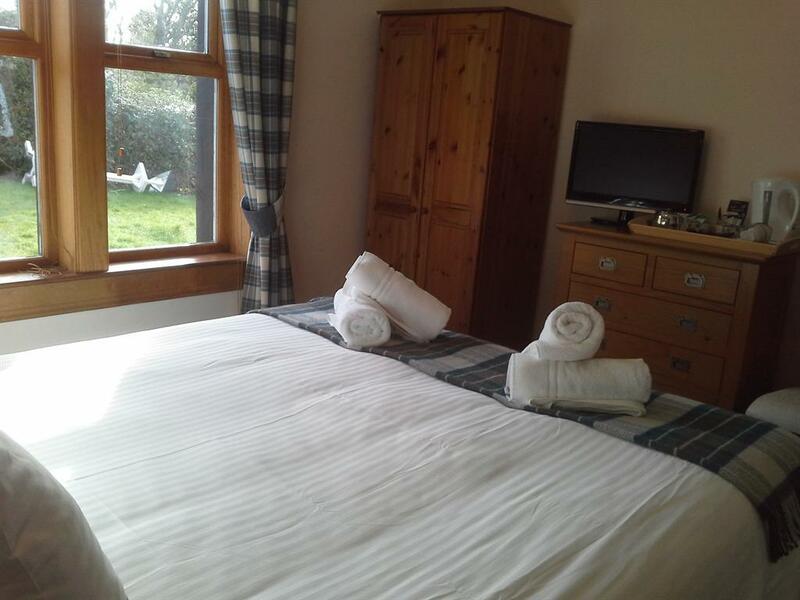 All family rooms have flat screen TV/DVD, tea and coffee making facilities and hair dryer. 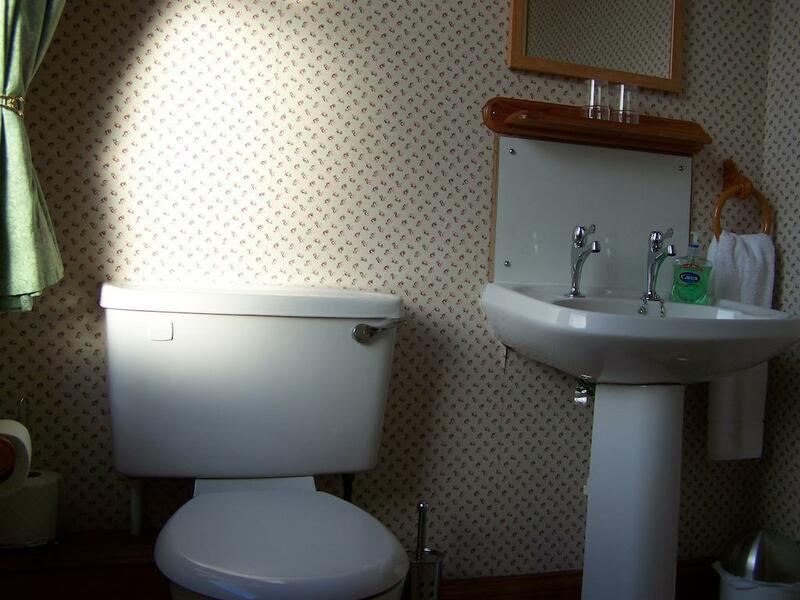 The en-suite has an electric shower and toilet. 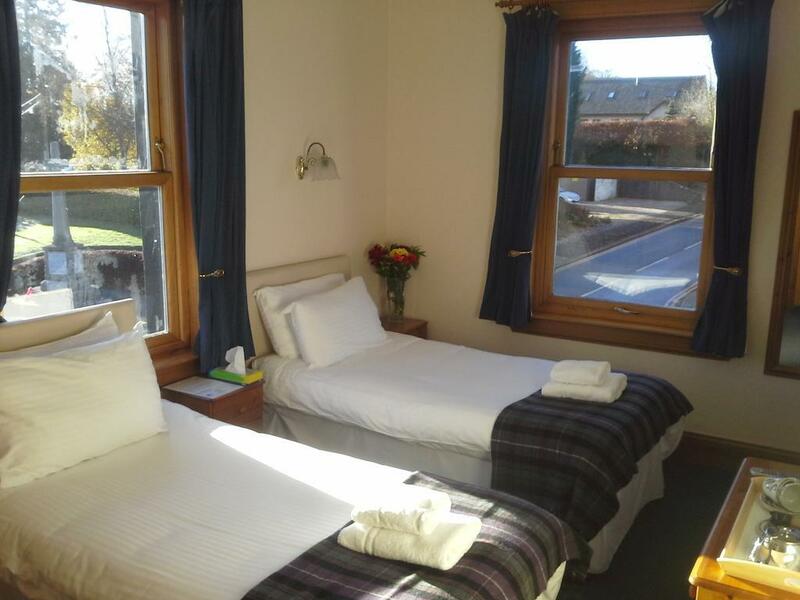 This single room has a fully adjustable electric single bed, flat screen TV/DVD, tea and coffee making facilities and hairdryer. 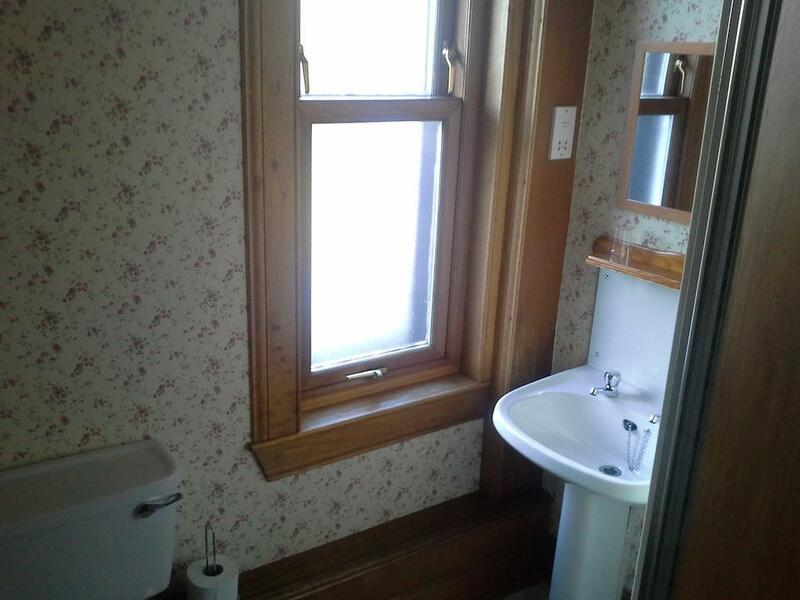 The en-suite has an electric shower and toilet. 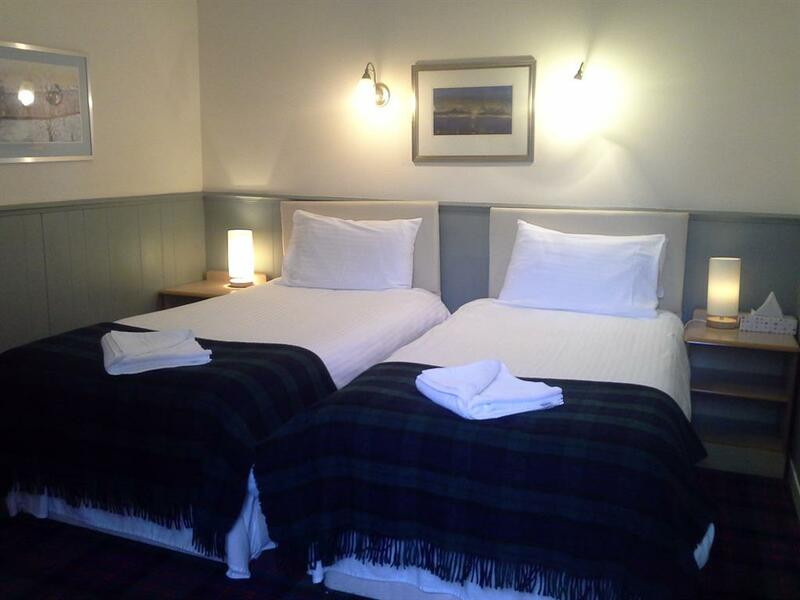 Room 7 can be a double or 2 single beds. 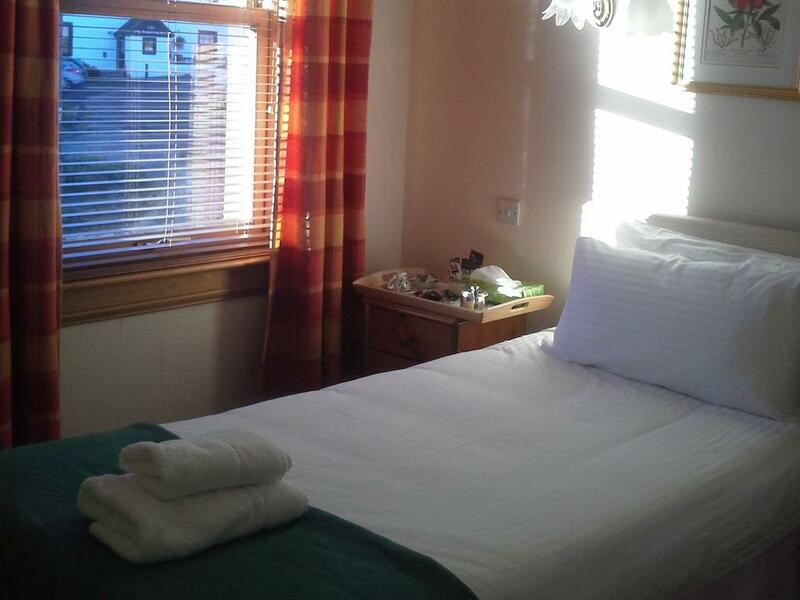 It has a comfortable king size bed, flat screen TV/ DVD player and tea and coffee making facilities. 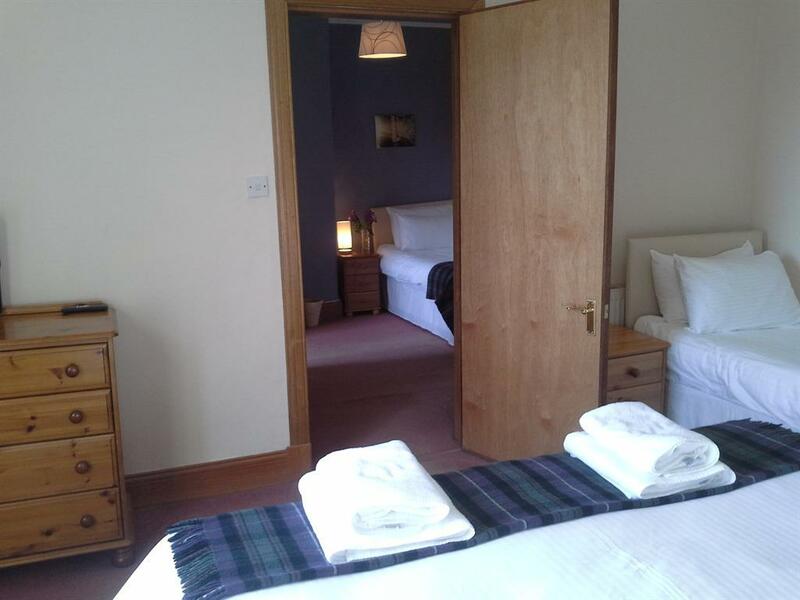 The private bathroom is next to the room and has a shower. 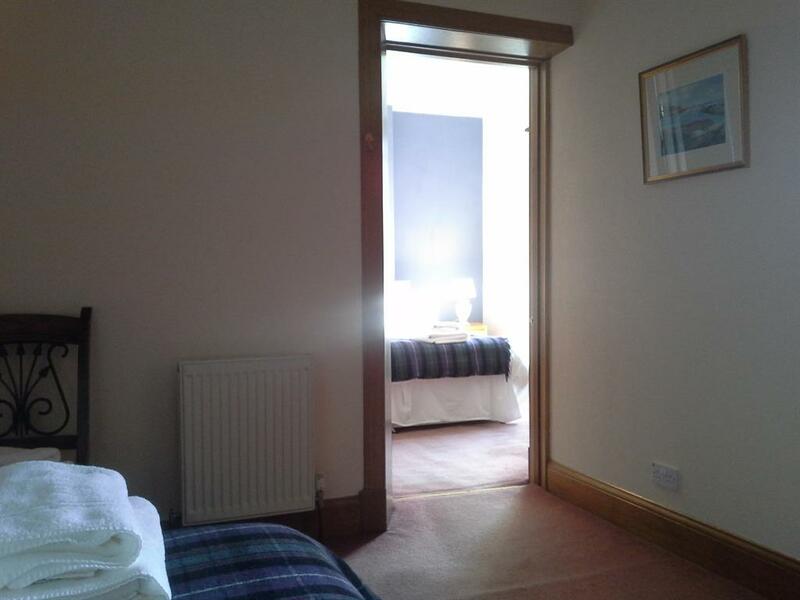 The room is located on the ground floor. 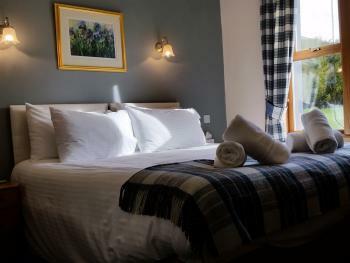 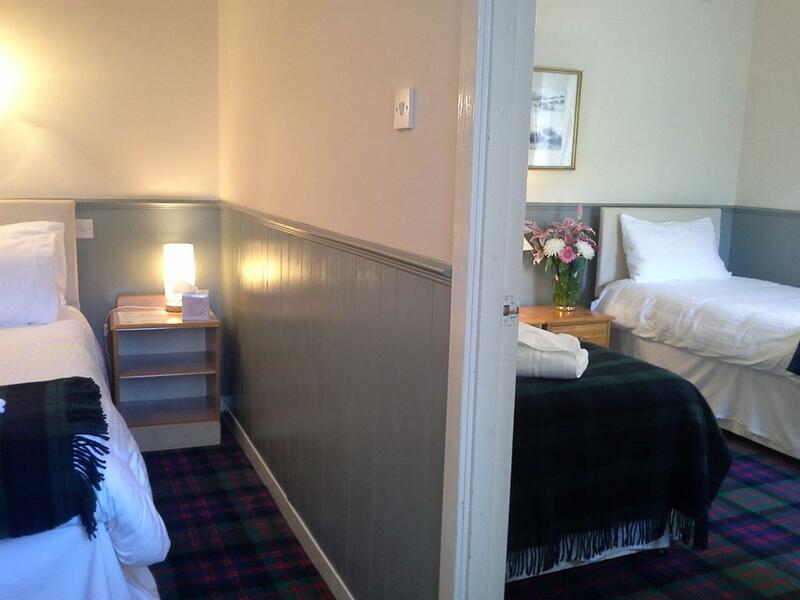 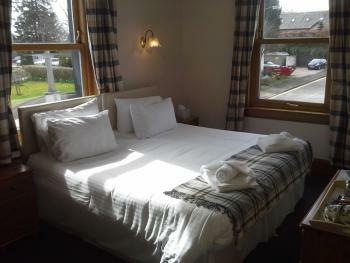 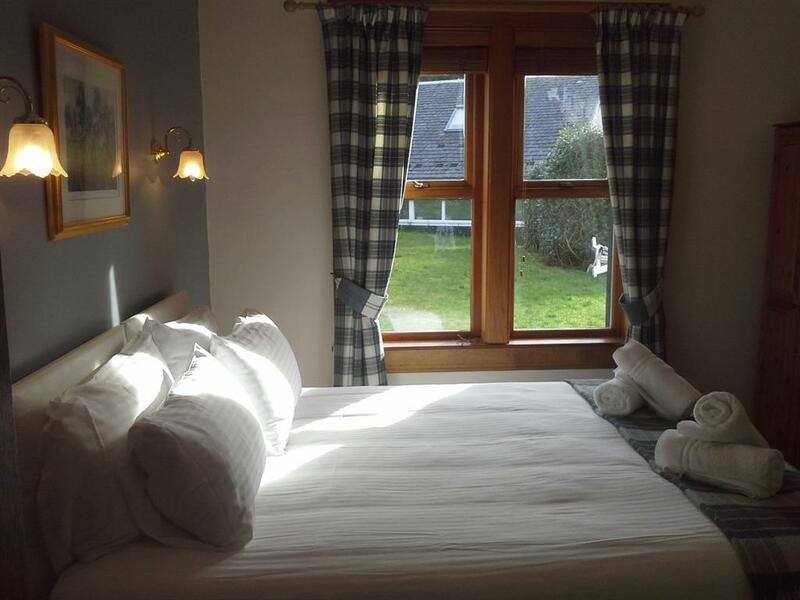 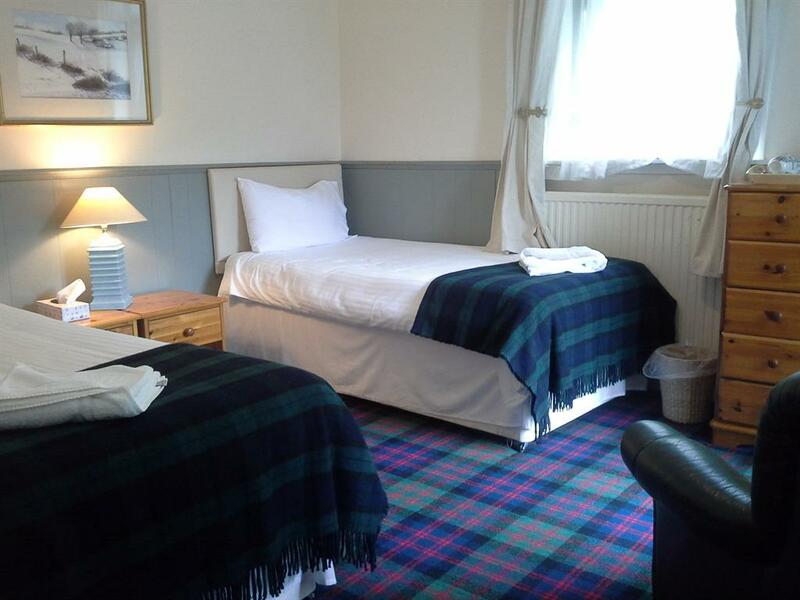 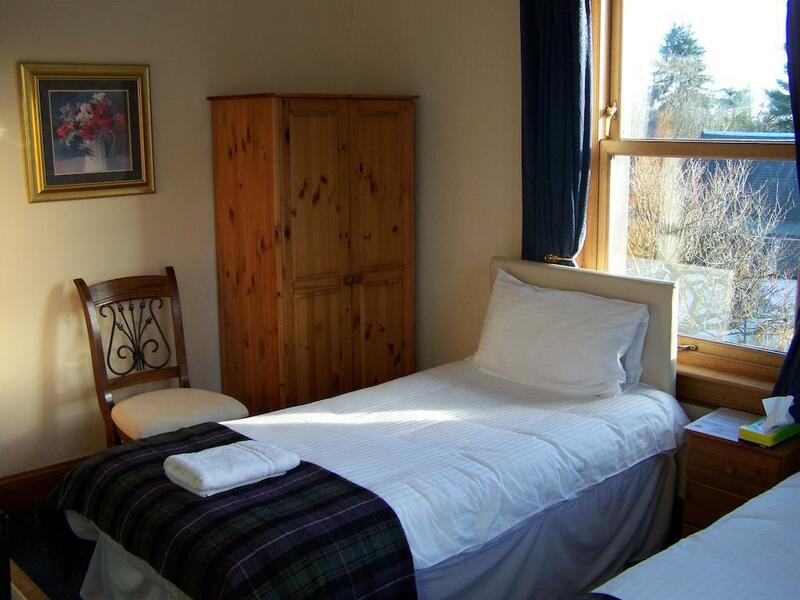 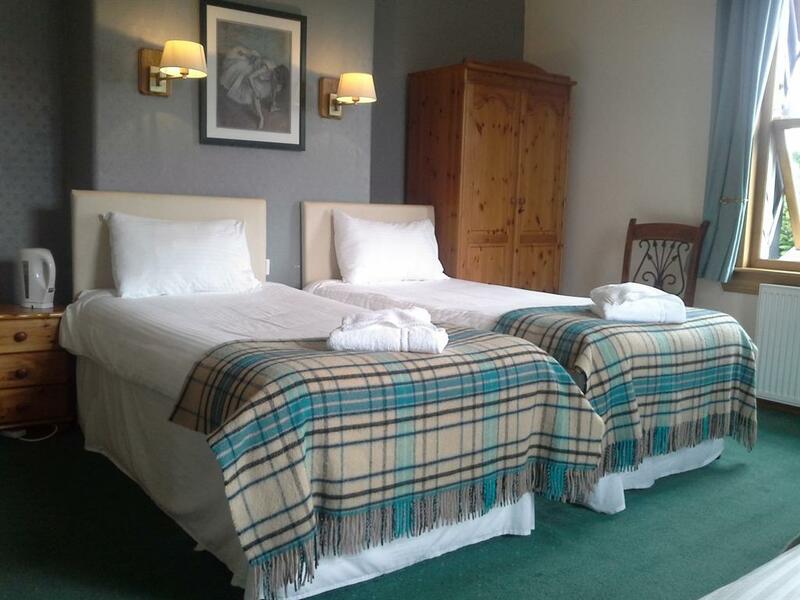 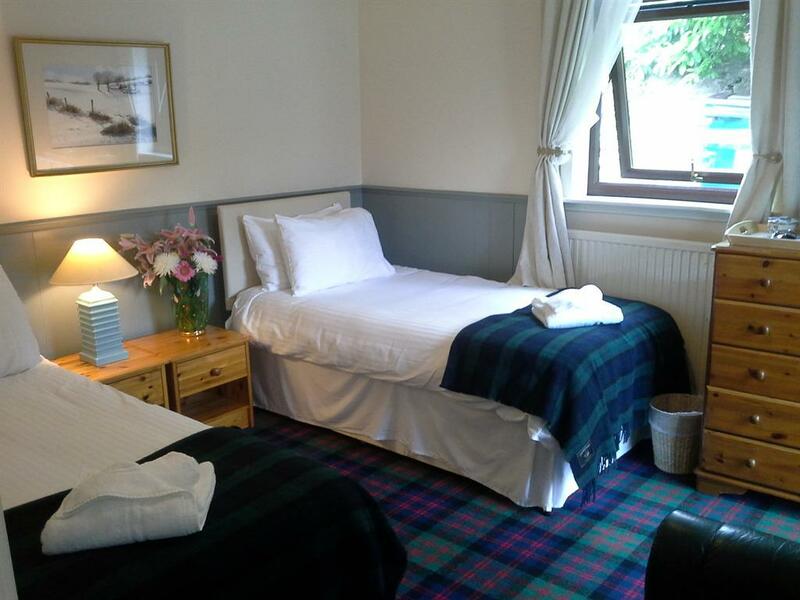 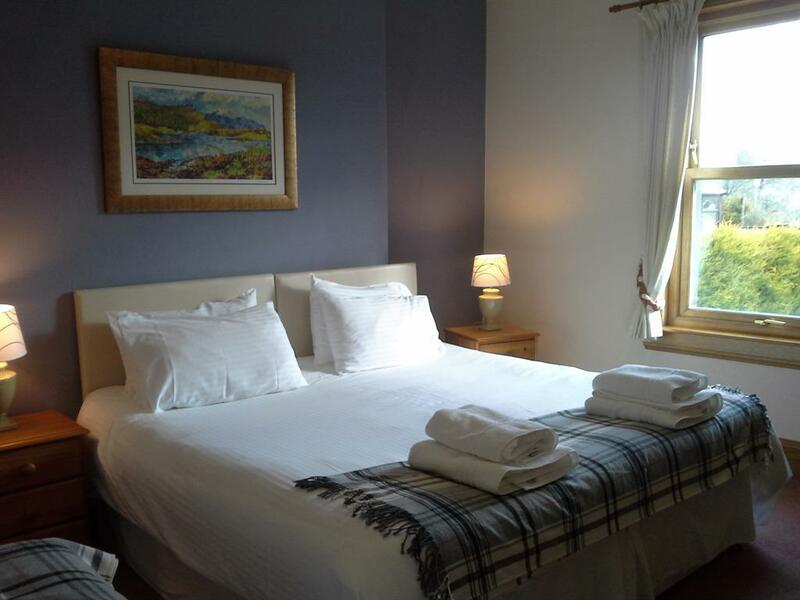 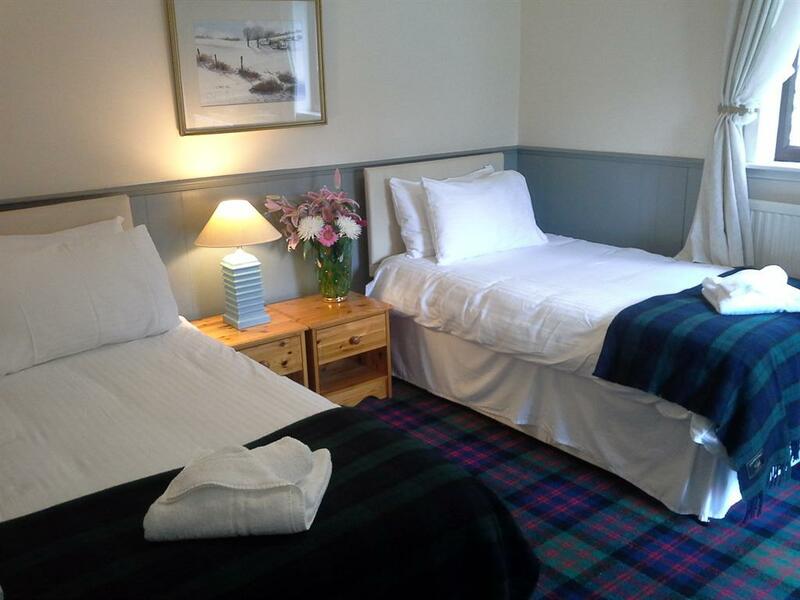 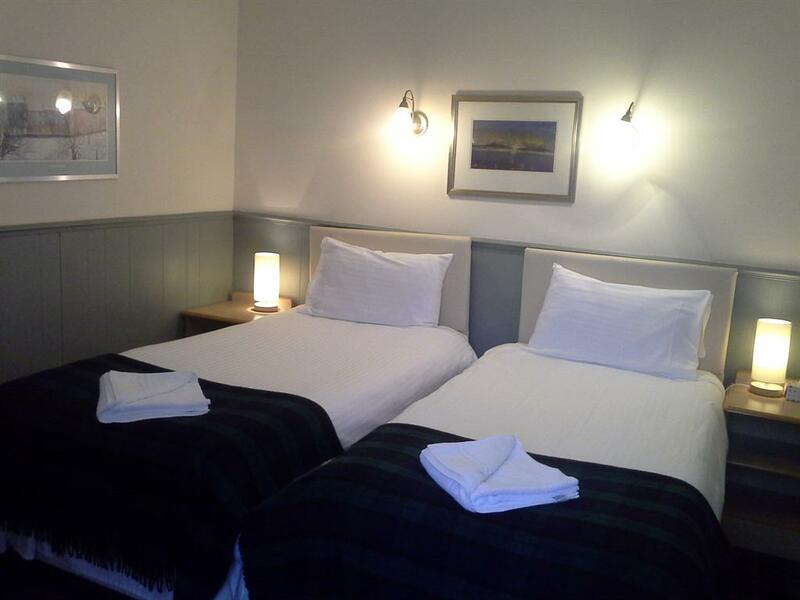 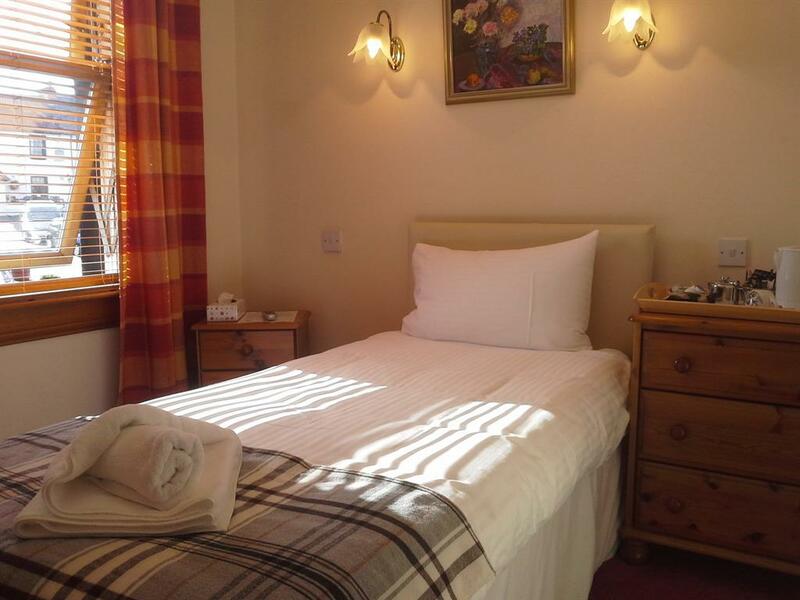 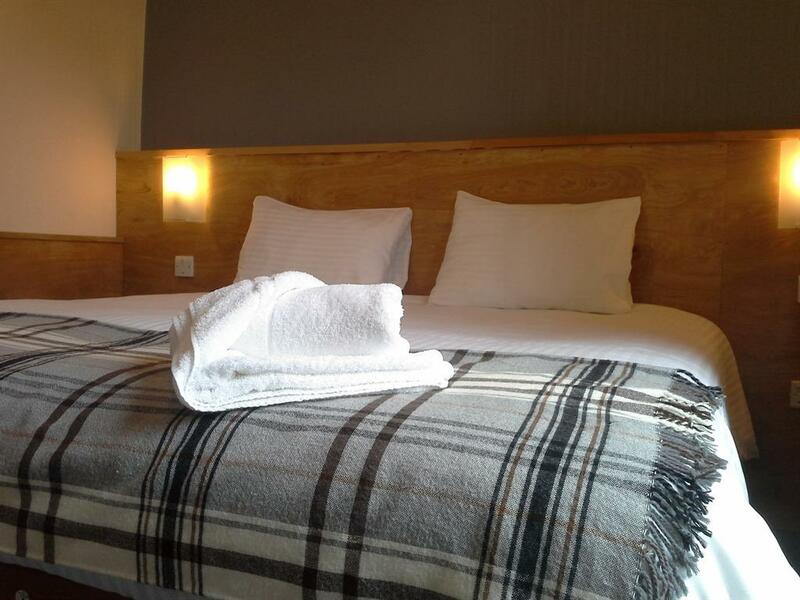 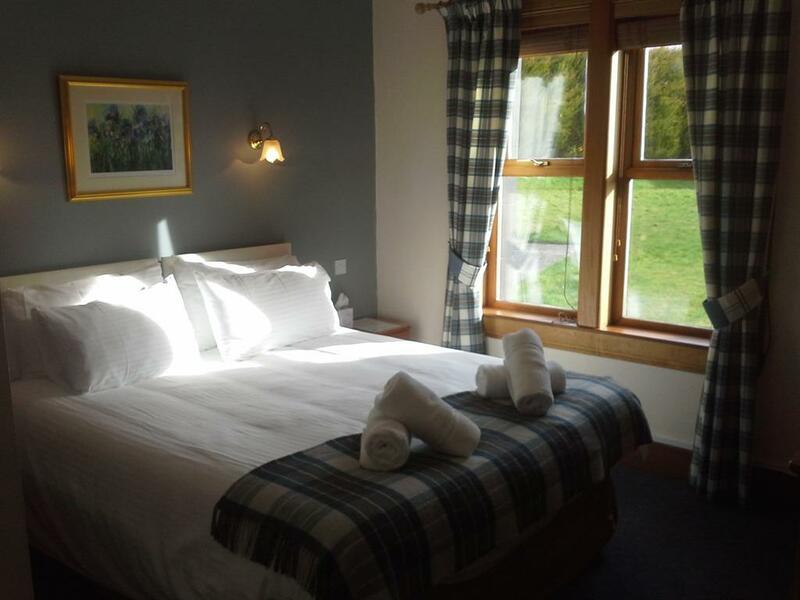 Welcome to The Hawthorns, a traditional Scottish, family run Guest House, where the emphasis is on comfort and quality. 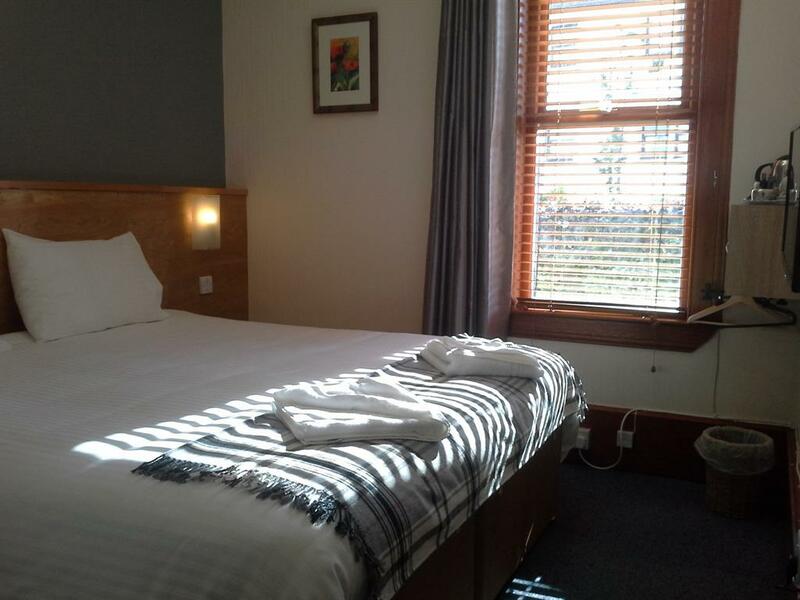 With bright, spacious bedrooms (all ensuite), large resident's lounge and separate dining room, it's the perfect place to relax. 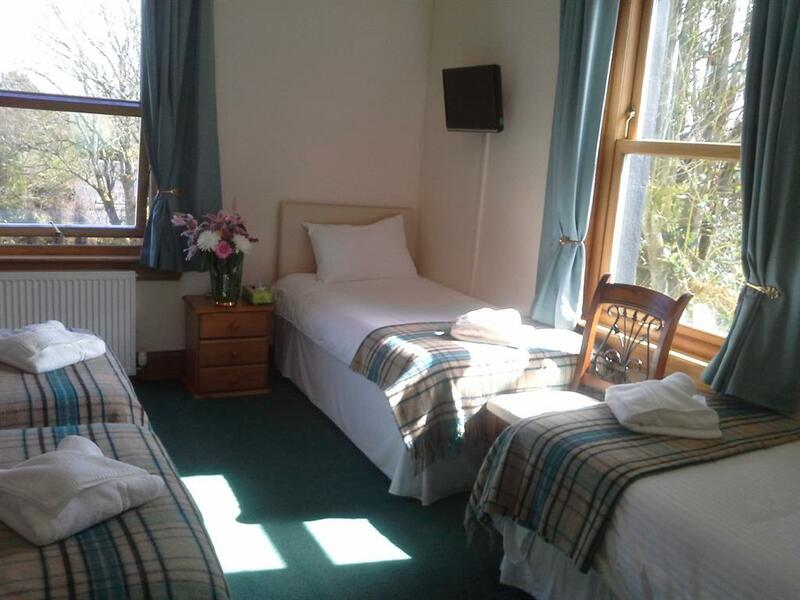 This beautiful building was built by The Duke of Montrose in 1873 and has been run as a Guest House since 1995. 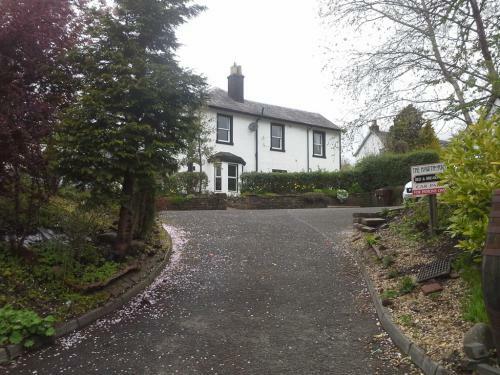 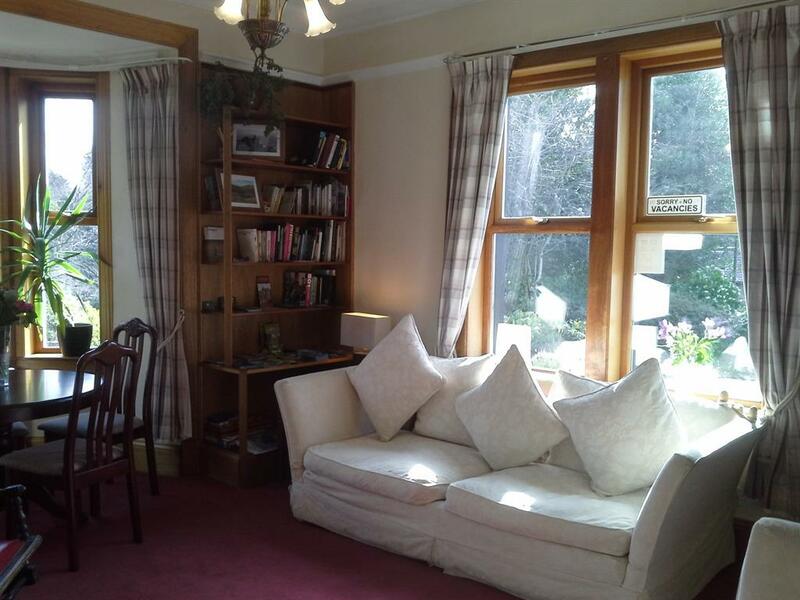 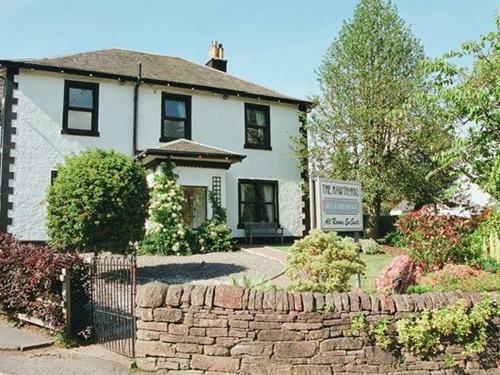 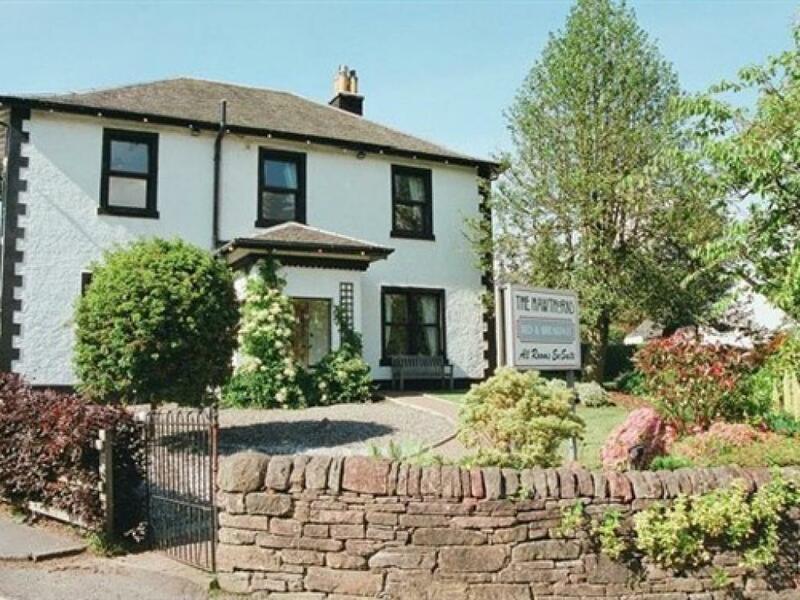 It is situated in the heart of the village and has magnificent views over the Campsie hills and the Endrick valley. 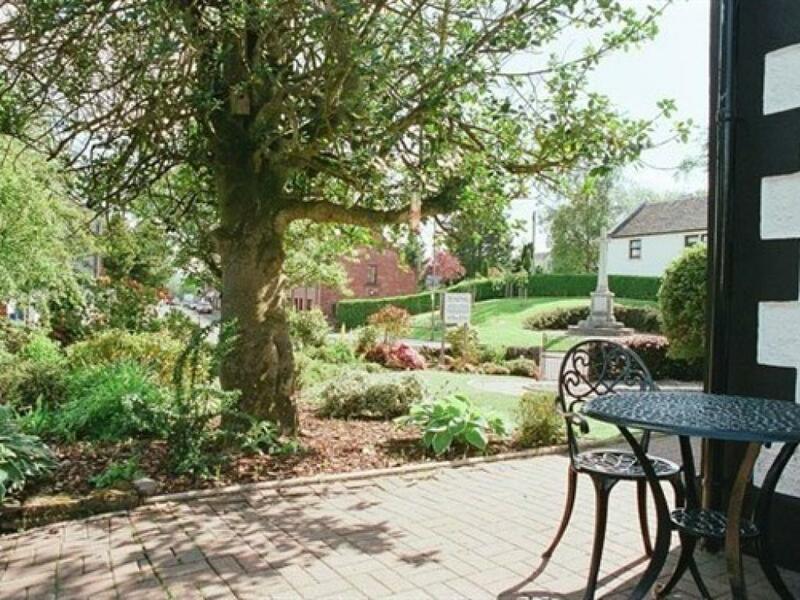 With ample parking and attractive gardens it really is the perfect place to stay. 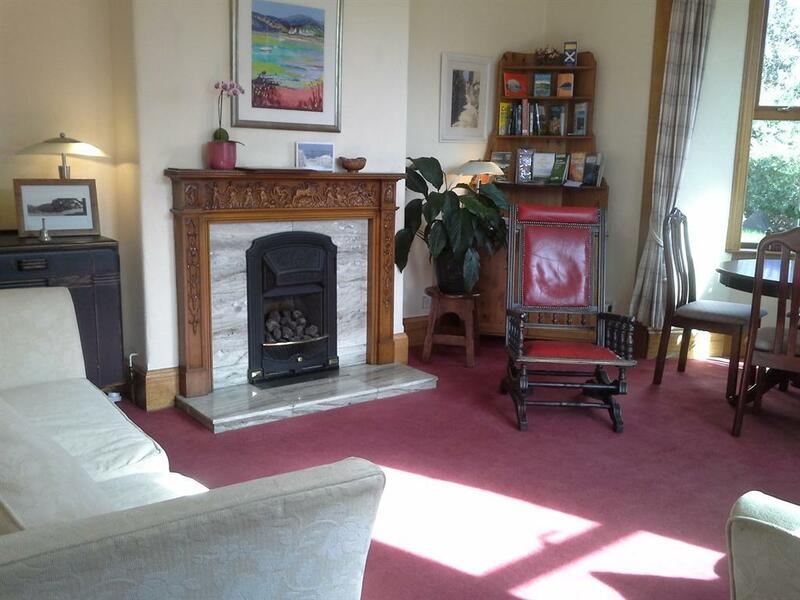 It was painstakingly renovated in 1995, ensuring that many of the original features were preserved (and adding central heating and double glazing!). 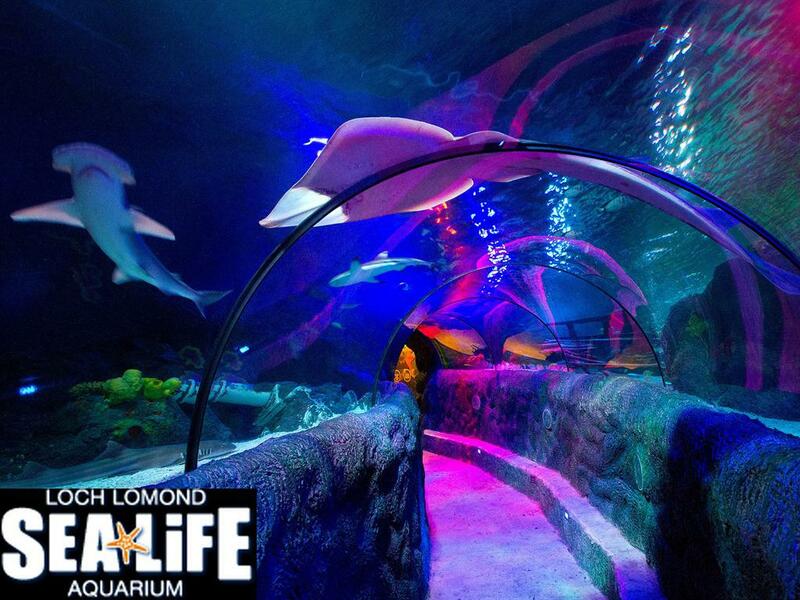 It is a beautiful building, with large, bright rooms and fantastic views. 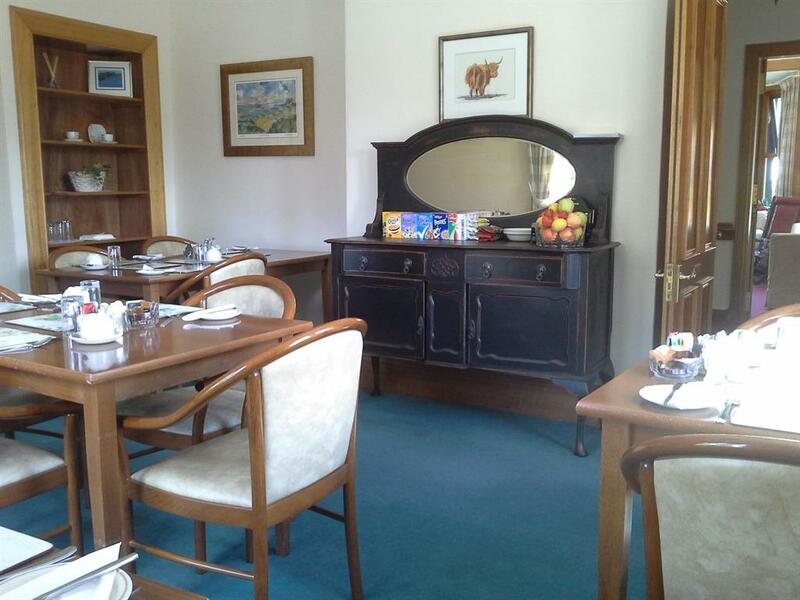 It has spacious gardens, ample parking and is situated on the main square, within walking distance of all amenities. 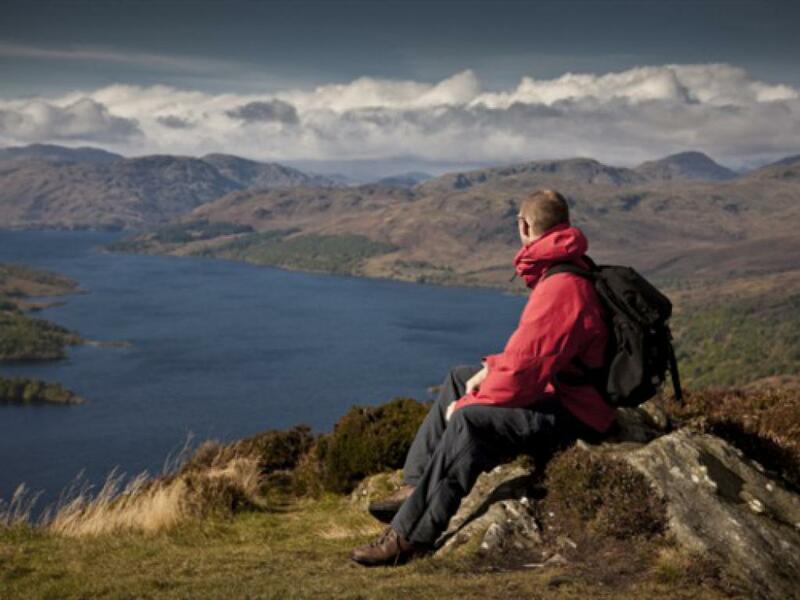 Although Drymen is a small, picturesque village in the Loch Lomond & The Trossachs National Park, it has everything you need for your stay. There is a bank (with ATM), village shop & Post Office, four excellent pubs and restaurants, gallery and shops, supermarket, bike hire, library, butcher, pharmacy, health centre, and dentist. 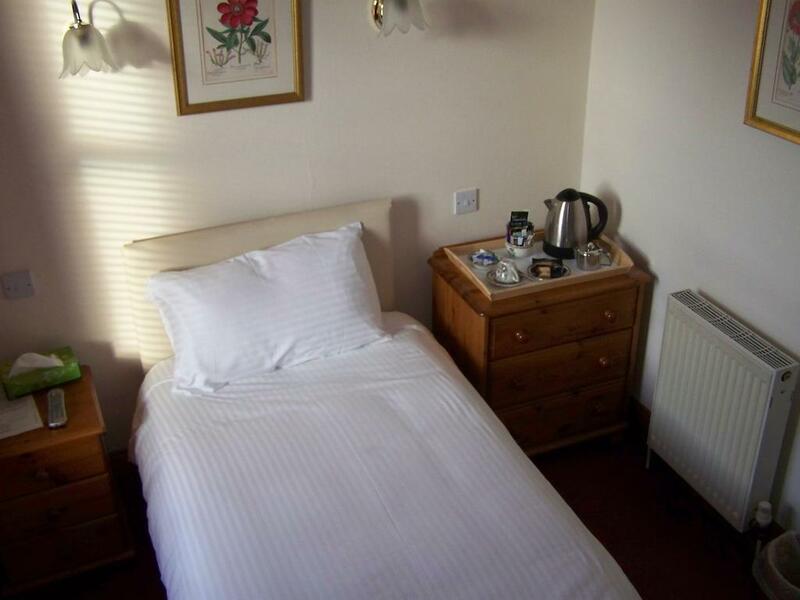 You'll always be sure of a warm welcome at The Hawthorns. 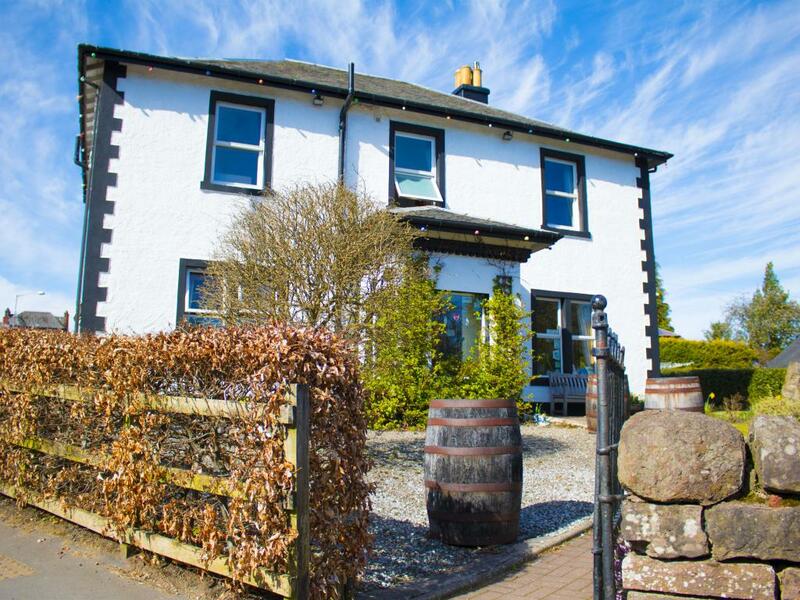 Follow A809 from Glasgow, Turn left onto the B858 and follow the road into Drymen. 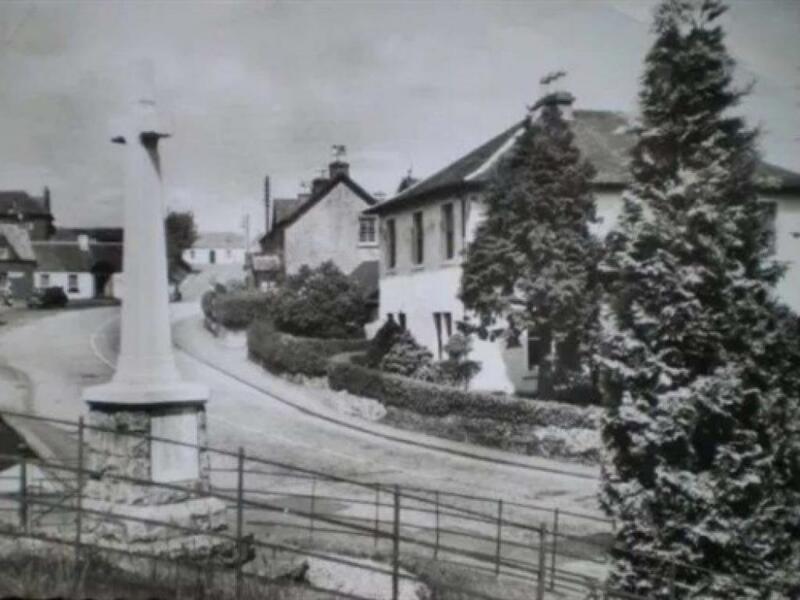 The Hawthorns is in the middle of the village on the corner of Gartness Road.